T?F offers several studios per semester. They start with a statement on the future of urban life. Based on this statement future scenarios will be developed leading to visionary, city-related designs. The studios include highly integrated research and design aspects. Long-term projects will be accompanied by shorter studies and workshops. The projects can have various scales. However, they all contribute to observations of the city. 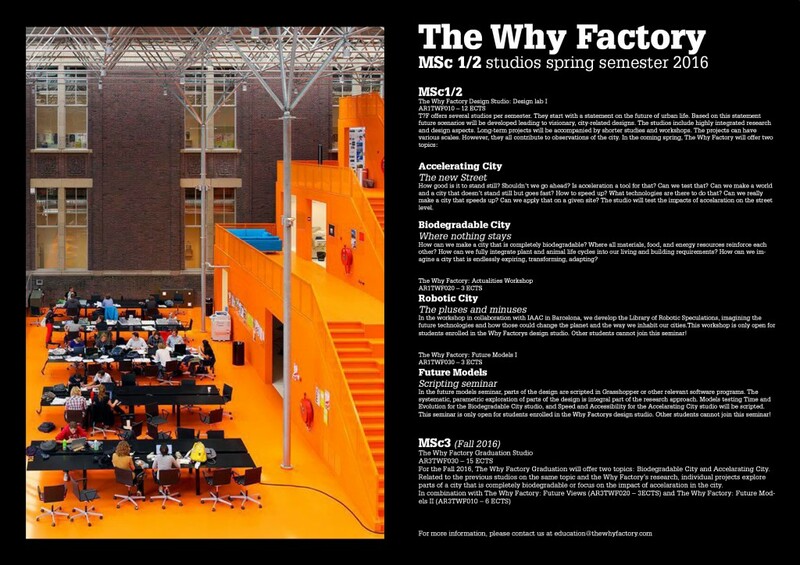 In the Spring semester 2016, T?F will run a new Msc2 Design Studio at TU Delft. The Studio entitled Accelerating City: The new street will be taught by Prof. Winy Maas, and Tihamer Salij. How good is it to stand still? Shouldn’t we move for? Is acceleration a tool for that? Can we test that? Can we make a world and a city that doesn’t stand still but goes fast? How to speed up? What technologies are there to do that? Can we really make a city that speeds up? Can we apply that on a given site? The studio will test the impacts of acceleration on the street level. 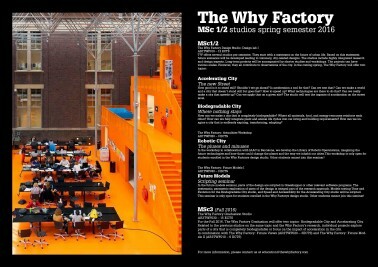 For the Spring semester, T?F will run a new Msc2 Design Studio at TU Delft. The Studio entitled Biodegradable City: Where nothing stays, will be taught by Prof. Winy Maas and Felix Madrazo. How can we make a world and a city that are completely “Bio”? How can we make city that is not only made out of biodegradable elements but that is also made out of bio developing materials? How can we integrate more vegetal and animal life in our products and cities? How can that endlessly transform and adapt? Can we create an endless series of strata where plants can nestle? 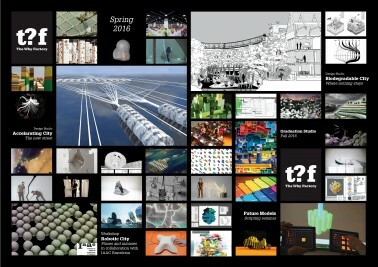 In parallel with our Msc2 Design Studios at TU Delft, T?F will offer a scripting seminar during the Spring semester. The seminar-entitled Future Models- will be taught by Arend van Waart. In the future models seminar, parts of the design are scripted in Grasshopper or other relevant software. The systematic, parametric exploration of parts of the design is integral part of the research approach. Models, testing Time and Growth for the Biodegradable City studio, and Speed and Accessibility for the Accelerating City studio will be scripted. 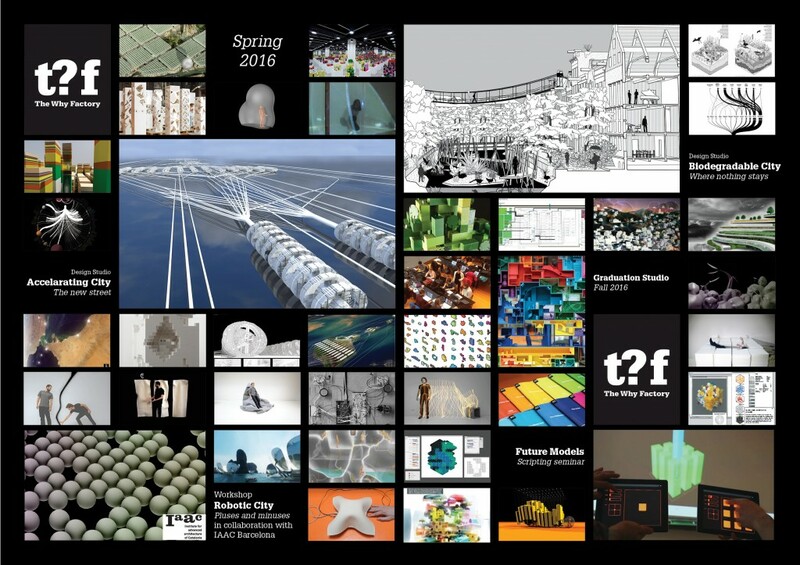 This seminar is only open for students enrolled in the Why Factory’s design studio.